Monitoring is one of the important tasks if you are going to catch any fraudulent activity. Before years, people used to hire a private detective to follow someone or monitor their activities. On the other hand, some physical devices are available in the market that can help you to monitor someone. You can install CCTV cameras to watch suspicious person or install a tracker on their vehicle to know their activities. These all the traditional tracking techniques are worthless or required more money to get desired results. Thus, you need the brand new, latest technology that offers their users to monitor someone without installing any physical device or hire a private detective. Currently, millions of cell phone users you can find that can help you to contact with someone easily, either mobile phone user can make a call, or prefer text message service to communicate with someone. Nowadays, a mobile phone is the basic need of everyone even they keep their mobile near while sleeping. Thus, if you can monitor someone’s mobile phone then you are actually monitoring someone. Different Smartphone available in the market that enables users to save digital files, store media files, use social media sites, surf internet, and make a call, text messaging even banking details. If you can monitor someone’s cell phone, then you can track his/her frauds and cheats on you. But the question is how to hack someone’s cell phone? You can choose mobile phone hacking tool or spyware that helps you to catch mobile phone data, information, device information and much more important details that are enough to track someone. Spyware is most searched term on the internet currently in order to hack someone’s mobile phone. Spyware is a set of programs that are developed to form efficiently on a mobile phone. Each program has a different task to perform. Also, some instruction is also developed and programmed in the spyware that helps to control victim’s cell phone online. In simple word, the spyware is a hacking tool that is capable of hacking someone’s mobile and its content within few minutes. The hacker can continuously hack victim’s cell phone till he/she uninstall the spyware from victim’s cell phone. Thus, it is one of the best hacking tools that deliver complete monitoring. License: If the company has the right authority and license to develop the spyware then you must choose the platform to buy the hacking tool. Ask officials to know more about the particular products or the company to avoid any trouble while using the spyware. Help and support: Most of the people do not know how to operate or track someone through the mobile phone. Thus, you should choose the platform which provides necessary support if needed. Payment return policy: It is another best factor to understand the reliability of the software company or app development organization. If the hacking tool does not deliver right benefits, then you can get your money back. Certified organization: if the hacking tool or the development platform is certified from the recognized authority, then you must prefer the platform to buy the hacking tool. These are some common factors that can help you if you are willing to use any spyware or hacking tool. Among hundreds of hacking tools, The Truth Spy is one of the best that delivers spying or complete mobile phone monitoring too. How to install the truth spy on victim’s mobile phone? It is quite easy to install the truth spy on victim’s cell phone, but you need to wait for the adequate time for installing the application. It takes about 5-8 minutes to install on the device completely. So, you need to access suspect’s mobile phone personally for installing the application. Once you get victim’s cell phone personally for require time then first need to know the OS. Download the spy application using Play Store or iStore for Android and iPhone respectively. You have two options to download the truth spy on victim’s cell phone. Either download the application from the website or choose the mobile application store of the mobile phone. The website includes both iOS and Android-based application thus; you can download the APK file or software setup then install the app on victim’s mobile phone. On the other hand, open the mobile app store or search the Truth Spy on the search bar then enter. Now, you can install the truth spy easily. Hide the app icon from victim’s cell phone to avoid catching activities. How to catch suspect’s data through the truth spy? The truth spy is programmed to catch the digital data from the internal and external storage of the mobile phone then send to the programmed address. Once, the truth spy installed on victim’s mobile phone, it collects mobile phone data, media files, document files, device information and much more. It hacks data, backups and sends to the programmed address. The programmed address is a website or a private server that can be accessed through the username and password. The username and password is a similar one that you have made while installing the spyware on a cell phone. Just access the site to get the hacked data. On the control panel or dashboard, you can select particular feature to personally access the information. The cell phone data is arranged in the dashboard in a great manner that it is easy to find different information. Text message service is one of the best communication ways instead of making a call or using any social media application. The user can save some text information on draft, share any written messages with suspicious persona, or receive/send any confidential information. With the great cell phone features, the victim can silently share any information in front of you, and you cannot catch any suspicious activity. Thus, you can install the truth spy on victim’s cell phone to trap text messages. How the truth spy hacks text messages from a mobile phone? The truth spy is programmer to collect the digital files from the mobile phone. Thus, it traps all the digital files even the text messages from the mobile phone. Once you installed the truth spy on victim’s cell phone, it traps call details, device information, text messages details then backups the file. If the victim has an active internet connection, the truth spy sends the hacked data to the dashboard. Now, you can personally read text messages like inbox messages, sent items, draft messages and MMS too. If the victim does not have an active internet connection or WIFI connection, then the truth spy waits for any computer connection. Keep the thing in kind the particular hacking tool work if there is an internet connection. To send the data or information from source to destination, it requires a wired or wireless connection. Similarly, the truth spy needs an internet connection to send the data from victim’s mobile phone to the server. Dashboard and control panel are much similar. The dashboard is the platform where you can get various spy app’s features. Instead of text message tracking feature, you can experience various features. On the other hand, the control panel helps to control several mobile features through the website. Once the truth spy gains parental control, you can use a control panel to operate several cell phone features without the permission of mobile phone user. You can turn on or off some features, and spy data/information easily. Maybe text message hacking is not enough to catch any fraud or cheats on you. Thus, you can buy GPS tracking features to analyze the real-time location of a victim. The truth spy catches longitude and latitude information of the device. Now, you can use these GPS coordinates to identify where the victim is on the planet. Even you can identify victim’s real-time location on a map if there is no internet connection. Spy on text message can help you to access inbox messages, draft messages, and received messages personally. The truth spy catches messages details and puts on a dashboard that you can pay attention to it and analyze whether the suspicious conversation occurred or not. Also, you can analyze the received and send timing. Instead of text message services, making a call is one of the common ways to communicate with someone. If you are going to track someone, then you must monitor their call details. In that case, the truth spy collects dialed call, received a call even missed calls. The data appears in call logs on the mobile phone then the same data appears on the dashboard. Thus, you can track the contact information of known or unknown number, call making and receiving time, call duration and call cost too. If you find any suspicious number or single number with multiple calling records, then you can analyze any suspicious activity. Once you get the suspicious call details, multiple dialing numbers then you can buy the call recording feature from the platform. The truth spy is capable of maintaining live call recordings. If you want to pay attention to victims live calls then the truth spy delivers lice call recordings. Also, you can access previous call recordings too. The spyware catches data from the call recorder and sends to the server. Now, you can pay attention to previous calls. Currently, you can experience kids, teens, adults and even old people that are addicted to using social networking sites/apps. Numerous social media sites such as Facebook, SnapChat, we chat, Viber, and Vine are most common social sites/application. These social sites offer their users to be connected with multiple people simultaneously. Also, the social media sites/apps offer their users to share media files, images, document files and other. The user can share messages instantly. Thus, if you are willing to monitor someone, then you must hack their social media sites or application. WhatsApp is one of the common social media applications that offer their users to share messages instantly and media files too. Millions of user you can find who is a regular user of WhatsApp. According to its properties, it is known as an instant messaging application. Maybe, the victim uses WhatsApp messenger to share any information or use it to chat with someone. You can install the truth spy on victim’s cell phone and can trap their WhatsApp chats. WhatsApp application keeps an individual folder on phone memory. The truth spy catches each folder including message store, media files, document file, recordings and others then sends to the dashboard. Now, you can pay attention to WhatsApp conversation. If the victim performs any suspicious activities, then there is a possibility that he/she avoids mobile phone conversation or meets personally with others. In that case, mobile phone monitoring does not deliver desired results. But the truth spy is the best features hacking tool. You can buy ambient call recording feature that can help you to pay attention to the voice surrounding. 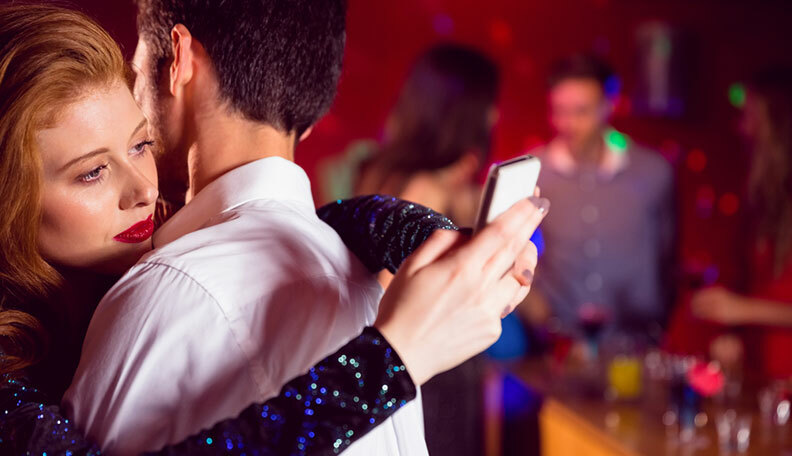 Catch cheating spouse: if your life partner keeps pin, passcode or password on their Smartphone or do not share with you, also he/she talks silently late night with another one then it is time to check on your spouse mobile phone. You can install the truth spy on your partner’s phone and monitor their mobile phone and social activities easily. Employee monitoring: being a new manager of an organization, you need to handle many things. If you feel any fraudulent activity in the organization, then you need to know who is responsible for it. Thus, you can install the truth spy on a suspicious person to know their trust. The spyware offers their users to monitor more than one suspect with the single account. Thus, the manager can track more than one suspicious employee and catch any fraud. Child monitoring: the truth spy is best mobile application for parents that they can prevent their kids from performing any cyber criminal activities. Also, they can prevent kids exceeding the use of mobile phone. You can prevent your teen child from accessing adult sites on the internet. Parental control: After installing the truth spy on the victim’s cell phone, you can control several mobile features remotely. The mobile phone is under the supervision of spyware. The victim cannot perform any unwanted activity without your permission. Find lost cell phone: the best benefit is that, if you are monitoring your family member but the victim has lost their cell phone then you can find the lost mobile. The truth spy catches GPSA coordinates that help you to find out the actual location of a cell phone on a map. Backup facility: Another benefit of using the truth spy is you can backup victim’s mobile data online. It enables you to check victim’s cell phone data further. If the mobile phone data is lost or deleted, then you can check on the dashboard and get the data again. Maybe, the victim deletes data after communicate, the truth spy backups live data and sends after. To download and install the truth spy, you can read the content above or access http://thetruthspy.com to get the right information about the application. At last, the truth spy is best application software that provides text message spy along with complete cell phone monitoring. To get the complete mobile phone tracking, you need to buy some premium features. Various affordable subscription plans are available that you can buy according to you need. Choose individual hacking feature or multiple features for weeks, monthly or quarterly. According to your budget, you can choose the subscription plan and hack someone’s mobile phone.